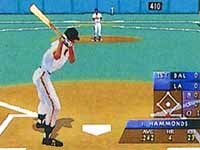 Crush one DEEP over the wall in the most realistic baseball video game ever published. Real Motion Control, Crystal Dynamics' proprietary 3D technology, translates motion-captured movements into incredibly life-like 3D polygonal models that bat, pitch and hit like real players. 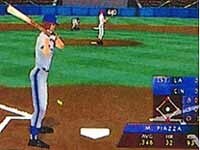 700 actual Major League Baseball Players and their stats. 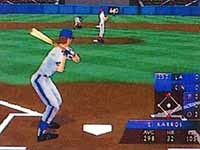 Over 50 actual all-star batter stances, motion-captured to replicate the signature moves of the league's top players. Dig in and face heat from 5 controllable perspectives. General Manager Mode: trade players, modify player stats and build the ultimate dream team. Controllable hitting: go with the pitch to the opposite field or pull one down the foul line. Hit the cut-off man on the fly: nail baserunners attempting to get extra bases. Play in Exhibition or Pennant Race mode where you can save player stats in more than 25 different categories. Sports favorite, Van Earl Wright fires up the action with over 1,000 super-charged comments. View instant replays from a variety of angles in photo-realistic 3D stadiums.